Last winter I wrote a blog post about this relatively new genus and series. Now that the growing season has begun for next spring, it’s definitely worth revisiting the SuperCal series as they continue to grow in demand and popularity. 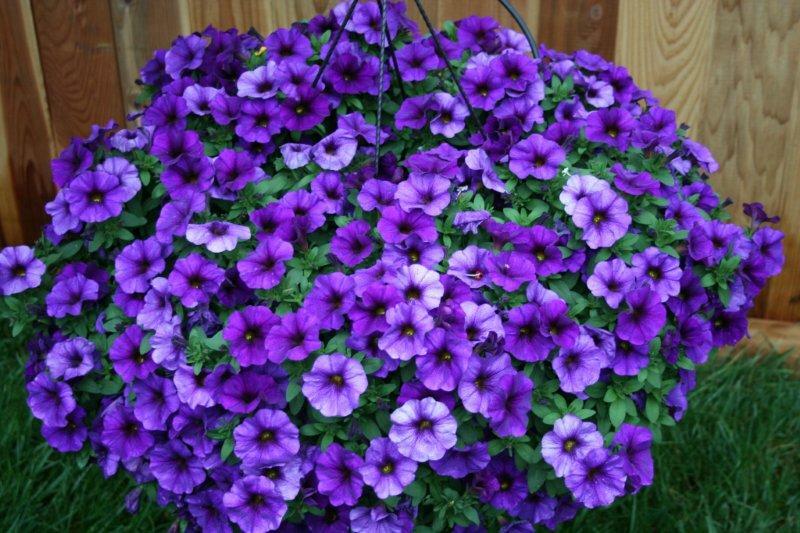 What makes SuperCal unique is that they’re a genetic cross between the Petunia and Calibrachoa genera. What makes them a value is that the cross brings the best characteristics of each genus to the series, and pretty much gets rid of the icky traits. 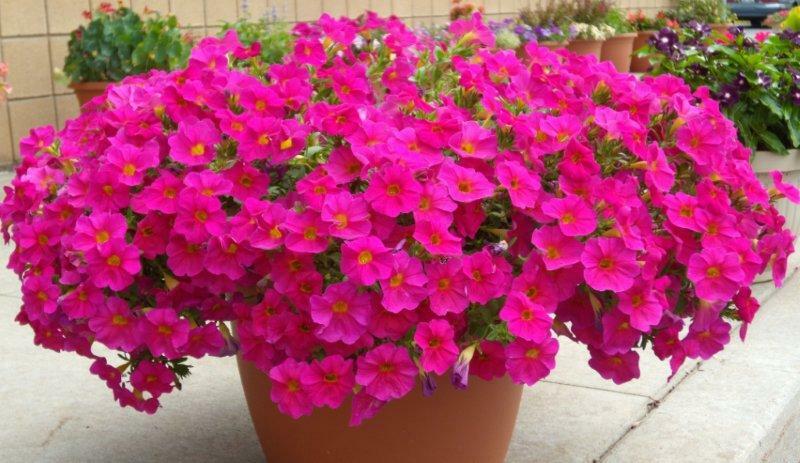 Examples: Large showy flowers (petunia genetics), non-sticky leaves (Calibrachoa), flower power (both), tolerance to high soil pH (petunia), self-cleaning plants (both), excellent performance in both cool and warm environments (both). We conducted a thorough container trial of the SuperCal’s this summer at our facility here in Rochester, NY. Our unusually hot and dry summer really put this series to the test, and I must say we were very pleased with the overall results. The advantage for growers is the SuperCal’s can be grown cool, so that’s a nice energy savings. For the end user, the good news is they performed exceptionally well in high heat and direct sun! The claim of self-cleaning was evident in our trials throughout the summer. We never had to deadhead the plants – EVER. Consider that a nice energy savings on the consumer side! My favorite of the series is Neon Rose. The containers were packed with flowers and the color really popped – two great traits. Rest assured there are several other colors that round out the series, such as new Blushing Pink, Blue, Cherry, Terracotta, Violet, and more. 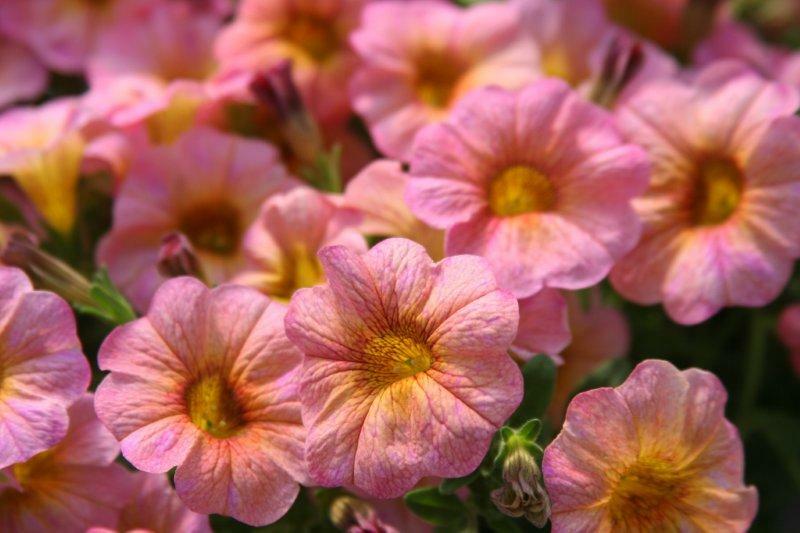 For home gardeners, be sure to ask for the SuperCal’s by name at your local garden center next spring. We are also working on a home gardener mail order transplant program that will include the SuperCal’s. Details of the program should be available by late November. I would like to purchase Cherry and Blue SuperCal Hybrid Petchoa seeds, do you have these available for sale? I have a SuperCal Blue. I'm in Central Texas (Austin) and recently we've had extremely heavy rainfalls. From what I can tell, these plants require a lot of water (daily watering if no precipitation) if left in hanging baskets. Does anyone know if I can pinch out my Supercal Neon Rose to stop it becoming too leggy. Hi NEET - Yes, you can pinch the SuperCal varieties. Pinching them stimulates branching, resulting in a bushier plant habit filled with flowers.